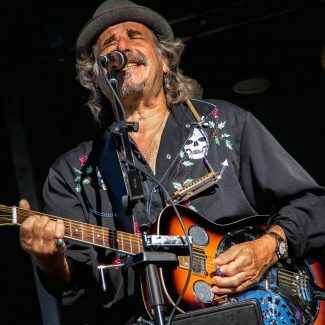 Bluesman AL LERMAN is a multi-instrumentalist, singer and songwriter. He was founder and leader of the 2X Juno Award winning band FATHEAD, and along the way built a solid career touring as an acoustic solo act. He is regarded among the top harmonica players in the country and his prowess on the instrument has earned him no less than ten Maple Blues Award nominations in that instrument category. In 2016 he was nominated for “Acoustic Act Of The Year”. Angelique Francis is a versatile and exceptionally gifted musician with talent that is way beyond her years. This multi-talented, multi-instrumentalist, multi-genre singer song writer and composer has wowed audiences across the globe with her electrifying performances, instrumental abilities and powerful textured vocals. Angelique’s soulful Smoky vocals and instrumental techniques are reminiscent of a bygone era, but with a unique and modern sensibility. Within her vocal style, you can hear influences of legends like Big Mama Thornton, Koko Taylor, Aretha Franklin, Bessie Smith and many more. Her instrumental abilities call to mind Willie Dixon on the bass, Sister Rosetta Thorpe on guitar, Big Mama Thornton on the Harmonica and Aretha Franklin on the piano. Bad Luck Woman & Her Misfortunes are a Blues/R&B band, known for their dynamic stage presence and vigorous drive. 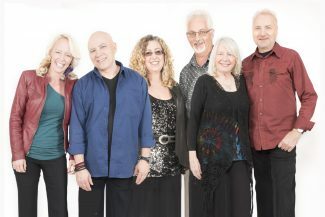 Aside from performing regularly at staple Toronto venues, the band has made compelling appearances at festivals including the Orangeville Blues Festival, and the Mt Tremblant Blues Festival, not to mention an unforgettable tribute to Etta James, featuring guests like Alana Bridgewater, Samantha Martin, and Nicky Lawrence. The band’s debut record, Cursed, was released in 2016 and received acclaim from Canada, The United States, France and beyond. BLW&HM are winners of the 2016 Amy Louie Grossman’s Music Scholarship and 1st runners up of the 2017 Toronto Blues Society Talent Search. 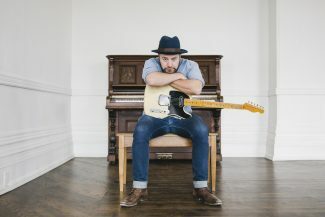 They were nominated for a 2018 Maple Blues Best New Artist of the Year award. Brian Blain, known to many of you as the guy who puts together MapleBlues, will be kicking off the Blues Summit showcases with tunes from his upcoming CD including some lighthearted fare like “The Maple Blues”, “I’m Not 50 Anymore”, “The Not Worried Blues” and songs about dearly departed musical collaborators Kathi MacDonald and Scott Cushnie (Professor Piano) as well as one that is auto-biographical (and sung in French). A native Quebecer, Brian has always included some French material on his albums. At 72, he doesn’t hustle like he used to but tends to play when invited and tries to put out a new CD every 5 years or so. 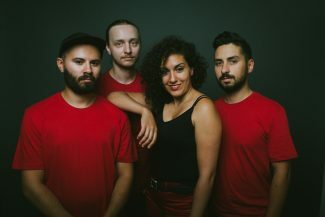 Toronto-based band Bywater Blues debuted in early 2017 – shortly thereafter winning the Merriam Music Emerging Artist Award from the 2017 TD Oakville Songs of Summer Festival. Earlier that year, the band completed a small acoustic tour in Vancouver and Vancouver Island, gaining a small dedicated West Coast fan base. 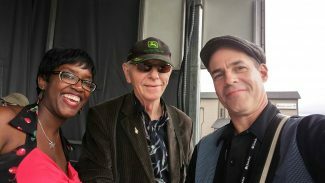 In July 2018, Bywater was named the Toronto Blues Society Talent Search Winner at the TD Toronto Jazz Festival and following that placed runner-up in the Road to Memphis competition to represent Toronto at the International Blues Challenge. Southern Soul, Gospel and Blues inspired, Bywater is a 7 piece band featuring strong lead vocals and slide guitar. Maple Blues Award nominees (New Artist/Group of the Year), Cootes Paradise specializes in roots based music that is bluesy, funky, and filled with soul. Featuring lead vocals by Sue Leonard (k.d. lang, Bruce Willis, Bon Jovi), and Wayne Krawchuk (Sidestreet, Tight Little Island) supported by Mark Volkov (a triple threat, playing flute, sax, and violin), Lily Sazz (keyboards, vocals), Amy Di Nino (drums, vocals), and Ian Taylor (bass, vocals), the result is an infectious, groove-based, genre-stretching sound with a mix of mostly originals, plus a few super cool covers that highlight their talent for interpretation. “Cootes Paradise”, their self-titled CD, produced by the legendary Nick Blagona, has enjoyed impressive reviews, and topped the charts at a few stations throughout North America. 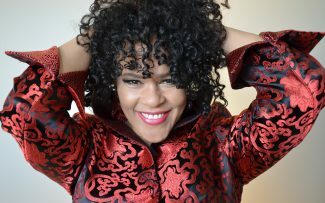 It has been more than two decades that Dawn Tyler Watson has been earning her place among Canada’s Blues elite. An accomplished and dynamic performer, Watson’s fiery stage presence has earned her national and international recognition. In 2017 along with her backing band The Ben Racine Band, Dawn took home the coveted 1st place spot out of over 260 acts at the 33rd International Blues Challenge, in Memphis TN. She’s also the recipient of three Canadian Maple Blues Awards and nine Quebec Lys Blues Awards. She’s earned the Screaming Jay Hawkins Award for Best Live Performance, a Trophées France Blues for female International Artist of the Year, and a Canadian Folk Music Award nomination for Best Vocalist. Newfoundland and Labrador’s acoustic Blues/Roots duo Earle & Coffin have accomplished a lot in the past three years. From recording their first album, “Live at the Citadel House”, to working in studio, creating “Wood Wire Blood & Bone”,and then to creating their latest project “A Day in July”. 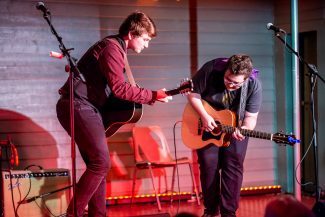 These 19-year-old blues men have been getting around touring festivals and showcases throughout Canada. And their talent has been getting recognized; awarded the 2016 & 2018 Canadian Folk Music Award for Young Performers of the Year, 2017 & 2018 Music NL Award for Blues/Jazz Artist of the Year, alongside numerous regional and national nominations. Earle & Coffin are soulful vocalists, brilliant guitar players and blessed with engaging personalities, experienced beyond their years. Gavin McLeod is an eighteen year old singer, songwriter, blues guitar player and Youtube personality from Milton, Ontario. 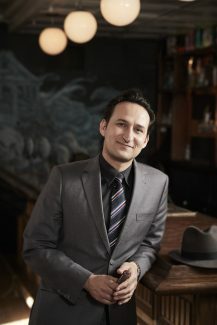 Gavin has been playing music for over ten years and has performed as the leader of the band Hawthorne, as a solo artist and in his blues trio. Gavin has an online following of over 100 thousand subscribers with over 16 million views. He also performed as a musician on two seasons of Family Channel’s TV show Backstage. 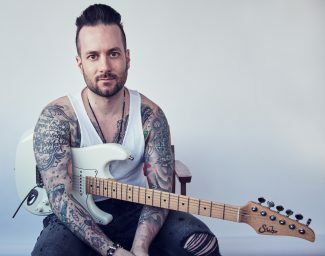 Gavin regularly plays shows around the Greater Toronto Area and hopes to bring an appreciation of blues and rock music back to a younger audience. Glenn Marais and The Mojo Train band are a blues rock force that put every thing they have into every show. The band plays with passion and fire and love taking the songs out and back with tight improvisations, solid grooves and amazing dynamic tension. . When the band gets cooking, they call it catching a ride on the mojo train and audiences love the fun and love for music that they share. The band features Glenn Marais on guitar, harmonica and lead vocals, Manny De Grandis on Bass and vocals, Jeff Saulnier on Drums and vocals, Nick Bogoeff on Saxophone and vocals, and Jesse Karwat on keyboards and vocals. Jenie Thai, an Alberta raised musician, now based out of Toronto, has been lighting the roots and blues scene on fire. She played Massey Hall as part of the Women’s Blues Revue (2017), was nominated for “Best New Artist” at the Maple Blues Awards (2015), and was a semi-finalist in the International Blues Challenge (2014). Celebrating the release of her brand new album, Night on Fire, Jenie entertained a sold out crowd at Hugh’s Room. Her new album is a collection of old-school soul, traditional blues piano, sassy tunes, and tough but tender ballads. Canadian roots and blues singer, songwriter and guitarist Judy Brown released her debut solo album ‘Say It’ on May 18, 2018 – produced by Maple Blues and JUNO award-winners Gary Kendall (Downchild Blues Band) and Ted Leonard (Fathead) – marking the next exciting chapter of her career. The album highlights her formidable voice and delivers authentic and sometimes humorous self-penned songs. 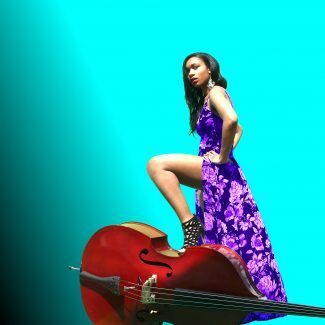 In 2019, she was selected for an official showcase spot at the Toronto Blues Society’s Blues Summit Nine. Brown was born in Medicine Hat, lived in Edmonton, began playing in and around Alberta’s oil patch and then moved to Toronto. She spent 30 years in the Toronto music scene and since 2017, now resides closer to family in Nelson, B.C. During her years in Toronto, she formed ‘The Judy Brown Band’ with renowned bassist Gary Kendall, performed at legendary Toronto music clubs and festivals and garnered radio and TV coverage. She also appeared as guest vocalist and co-writer on the song “Lucky at Love” on Kendall’s ‘Dusty & Pearl’ album (2004), and later returned to electric guitar and co-formed ‘The Wilmas’ (all-female blues and rock powerhouse, 2010-2015). Kat Danser’s music is a steel belted radial easily flexing between a dusty gravel road and a fresh coat of asphalt. 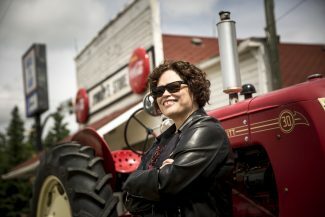 True to her Polish- Gypsy heritage, Danser is in perpetual motion and her swampy roots and blues style is a fine-tuned reflection of life lessons from the road. 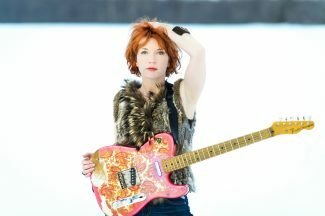 Edmonton’s Kat Danser doesn’t just play the blues – she studies it, lives it, breathes it and elevates it from sweaty, smoky beer joints to elegant centre stage in the finest of concert halls. Her sweet vocals, lyrical genius, and instrumental prowess beautifully combine with her sharp wit and commanding stage presence to deliver unfailingly memorable live performances. *This performance is unfortunately cancelled due to Kat Danser’s health issues. Ben Racine Band will showcase at the same same time/same day instead. 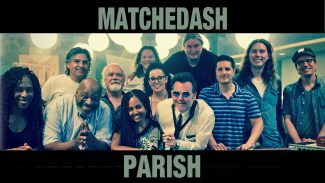 MATCHEDASH PARISH – 12 piece Soul/Blues/Gospel Matt Weidinger and Juno award winning producer Lance Anderson have formed the MATCHEDASH PARISH with 12 of the country’s top blues and roots artists. It’s a powerhouse all-original roots show guaranteed to bring the house down. 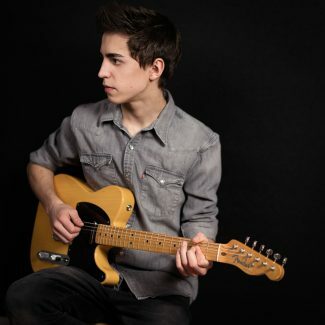 Kitchener phenom Matt Weidinger is a rising star in the Canadian Blues world. His soulful and expressive voice and commanding stage presence has garnered rave reviews. Featuring the amazing Quisha Wint and three supporting vocalists, they’ll raise any roof. ’The Parish’ is a nine-piece multi-generational band including two drummers and percussion: Memphis born Shamakah Ali (Al Green) and Ben Rollo (Lucky Peterson), percussionist Art Avalos (Manteca), horns Gene Hardy, sax, William Sperendei, trumpet. (Harry Connick Jr.), guitarist Mackenzie Jordan, and Mark Mcintyre, bass. Michael Jerome Browne is an award-winning multi-instrumentalist, singer, songwriter, and living encyclopedia of roots music. His mastery of American roots idioms and warm, unaffected singing have been critically acclaimed. 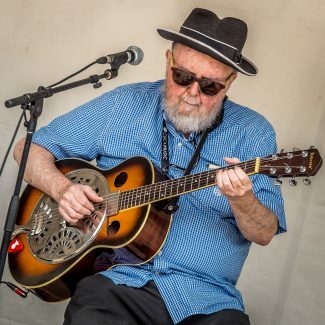 The new album “That’s Where It’s At!” explores the connections between blues and soul, through the lens of an acoustic blues player. 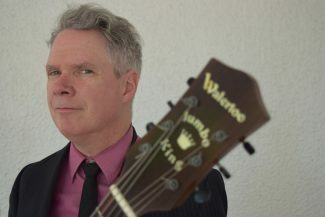 Michael has had four Juno nominations, and is the recipient of three Canadian Folk Music Awards and a Maple Blues Award, for which he has been nominated 32 times. 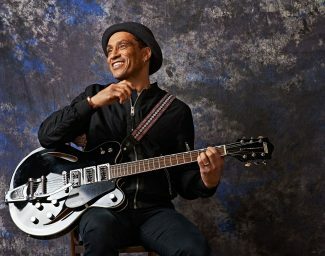 He also tours and records with other artists, most notably Eric Bibb, whose Grammy-nominated CD “Migration Blues” he co-produced and played on. He will be showcasing with long-time collaborator John McColgan on drums. Her music spans genres, crosses barriers and creates bridges. Her voice soars to emotional heights and reaches down into the grittiness of the soul. Her performances are foot-stomping, heart-wrenching adventures in rhythm, blues, soul, jazz and rock and roll. For nearly 20 years Miss Emily has captivated listeners across Canada, the US and the United Kingdom with her unique combination of passion and talent. 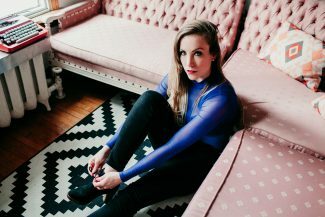 This 8th generation Prince Edward County native now calls Kingston home, and her latest release “In Between” features Kingston music colleagues Gord Sinclair and Rob Baker of The Tragically Hip. The album has been described as ‘singer-songwriter soul’ and continues to climb the Roots Music Report charts. Myles Goodwyn, singer, guitarist, writer, producer and leader of the multi-Platinum band April Wine shaped and directed the group from its beginnings. AW has sold over 20,000,000 recordings worldwide. As a teenager he honed his skills playing in cover bands and began writing as soon as he could play guitar. One of AW biggest hits, “You Won`t Dance With Me”, was written when he as teenager. 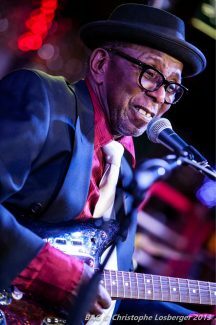 Myles’ passion for the blues began in the 60`s when he started listening to American blues artists BB King, Howlin Wolf, Muddy Waters, Taj Mahal and many others. All the blues songs Myles’ has written he kept saving for the blues album he knew he was going to make. 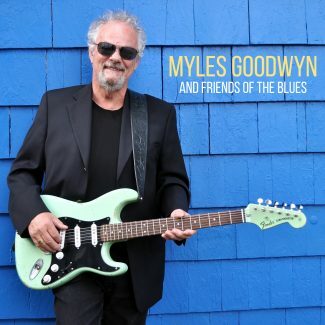 MYLES GOODWYN AND FRIENDS OF THE BLUES is the result. 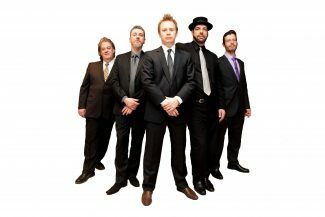 Maple Blues Award winners and six time nominees Raoul and The Big Time have been a part of the Canadian blues scene for twenty years, energizing and engaging audiences at clubs and festivals coast to coast. They have worked with legends such as Bettye LaVette, Billy Branch, Billy Boy Arnold, Big Dave McLean, Johnny Sansone, Super Chikan and have released five recordings including guests such as Curtis Salgado, members of The Mavis Staples Band and Canned Heat, Rusty Zinn and many more. Founded by Raoul Bhaneja and guitarist Darren Gallen, long time drummer and multiple Maple Blues Award winner Tom Bona, the band were semi finalists in the 2018 International Blues Competition in Memphis and look to release a new live record in 2019. 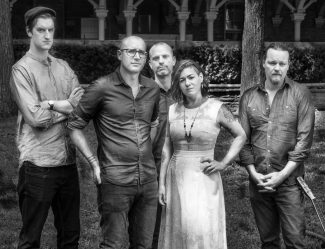 Their sounds harkens back to what you would imagine bands sounded like in the late night back room clubs of New York,Chicago, and Detroit in the 1960’s calm and intense; coolness. Jake Chisholm sings like a beautiful bird and plays guitar with a fiery urgency. Second Guitarists Judd Ruhl is a virtuoso of seductive understatement. Darcy Yates is simply everything you dream a bass player should be. Dani Nash swirls her supple groove through the songs. Jenie Thai Nolan on upright piano is a servant of song like no other. Make your own luck and experience the coolness of the Skyliners soon. Soulstack delivers a visceral experience; one of seasoned musicians playing the music oftheirroots with authentic realism. It’s the sound of Staples Singers-inspired southern harmony, tremolo-drenched baritone guitar, with a late-sixties New Orleans-style rhythm section and the gurgle of a Hammond organ driving it along with the unmistakable and distinctive voice of Jon Knight. Soulstack has had numerous Maple Blues Awards nominations and wins and their unique brand of vintage groove and melody can be heard on radio stations globally. They are joined by 5x Grammy award-winning saxophone player Michael Francis. Four-time winner of Harmonica Player Of The Year at The Maple Blues Awards, two-time Juno award winner for Blues Album Of The Year. Whether on tour fronting blues supergroup MonkeyJunk or part of The Colin James Band, multi-instrumentalist Steve Marriner never stops. Sue Foley is one of the finest blues and roots artists working today. A triple-threat as a lead guitarist, songwriter and vocalist. 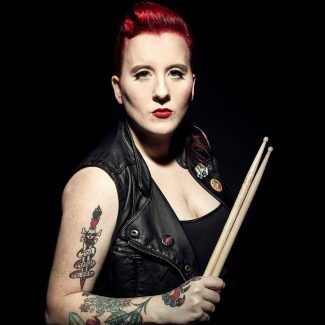 Sue has as a long history of defying convention, and is a positive role model for aspiring young female musicians. She began her recording career in Austin, TX with Antone’s. She won a Juno Award, 16 Maple Blues Awards, 3 Trophees de Blues de France, & several nominations at the BMA’s. The Ice Queen was recorded in San Marcos, Texas. The album represents Foley’s full circle journey – her return to the roots of her career in Austin and her re-connection with many old friends including Jimmie Vaughan, Z.Z.Top’s Billy F Gibbons and Charlie Sexton – along with other Lone Star State all-stars. Sugar Brown, born Ken Kawashima, is a modern bluesman based in Toronto, where performs with his band, The Blues Liberation Army Band. 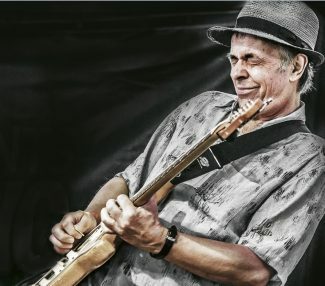 Winner of the Toronto Blues Society new talent competition in 2013, nominated for Best New artist in the 2015 Maple Blues award nominations, and a Finalist at the Memphis International Blues Challenge in 2017, Sugar Brown has recorded three, nationally and internationally acclaimed blues albums–most recently “It’s a Blues World (Calling all blues! )” in 2018– and has also featured his songs in several independent films and television programs. He has toured in Canada, the U.S., and Japan. This year, he is nominated for two Maple Blues Awards: Songwriter of the Year and Recording/Producer of the Year. 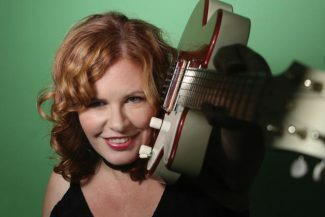 A Saskatoon native transplanted to the Niagara Region of Ontario, Roots and Blues singer Suzie Vinnick is a 3X Juno Nominee, CFMA Award winner, and a 10-time winner of the Maple Blues Award for songwriting, female vocalist, acoustic act and more. Suzie has a voice you’ve heard a thousand times and one you’ll never forget. It soars, it growls, it whispers and it shouts from a deep, deep well of emotion. The pure joy she exudes when she picks up that guitar is so worth the show. 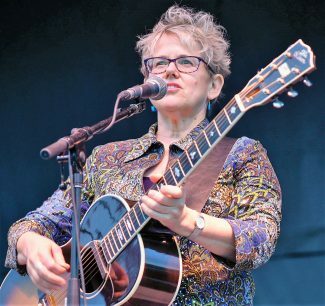 Suzie toured nationally with Stuart McLean’s The Vinyl Café and performed for Canadian Peacekeepers in Bosnia and the Persian Gulf. Suzie just released her latest album, a full band roots and blues extravaganza entitled “Shake The Love Around”. 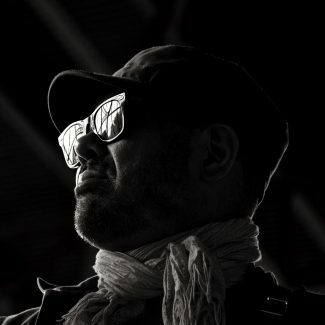 “…an outstanding merger of personal expression and lyricism with expert craftsmanship”. That’s how DOWNBEAT described Terry Blersh’s songwriting. Beyond his solo efforts, this veteran of the Canadian music scene has performed an/or recorded with many of the nation’s top blues artists. Harrison Kennedy, Garth Hudson, Chuck Jackson and Terry Danko, to name a few. With his 2018 release, “PLAY IT ALL DAY”, Blersh once again brings a unique and wry perspective to the blues with his wonderfully diverse songs. He’s enlisted an all-star cast of musicians and four featured guest vocalists. All masterfully recorded and mixed by Grammy/Juno nominee Jeremy Darby. TRI-CONTINENTAL – a collaborative evolution fusing the talents of three accomplished guitar-players, singers and songwriters. Bill Bourne, Lester Quitzau and Madagascar Slim are well-recognized and respected artists with successful solo careers. They are major players in the Canadian roots and blues music scene who have individually and collectively received 4 Juno awards and 10 nominations. Together as Tri-Continental, something very special and magical happens with the grand improvisor, the kidnapper of the blues, and the inventor and promoter of the universal Malagasy blues sound. Born and raised in Yemassee, South Carolina Wes learned to play guitar from the itinerant players of the era. Eventually he found himself playing in local bands that backed up touring artists like Muddy Waters, Jimmy Reed, Stevie Wonder and others. Mackey made Canada his home after years of touring as a sideman in the US and now lives in Vancouver. He’s performed in an eclectic array of venues, from honky tonks to cruise ships to festivals and concert stages. He’s also brought the blues to some unexpected places like Iceland, Malaysia and Slovakia. Mackey has toured Europe countless times but was thrilled to wrap up his 2017 tour of France with a long-coveted gig at iconic Jazz Club at Le Meridien Etoile in Paris.